When it comes to robot vacuums, there’s a Roomba vs iLife debate that might leave you feeling a little confused. Roombas have a huge reputation but iLife vacuums deserve their time in the spotlight. We researched the top models of both brands and put together this iLife vacuum VS Roomba vacuum review to try to help you make sense of all your options. Before we get into the products, let’s look at some of the main things you need to know. 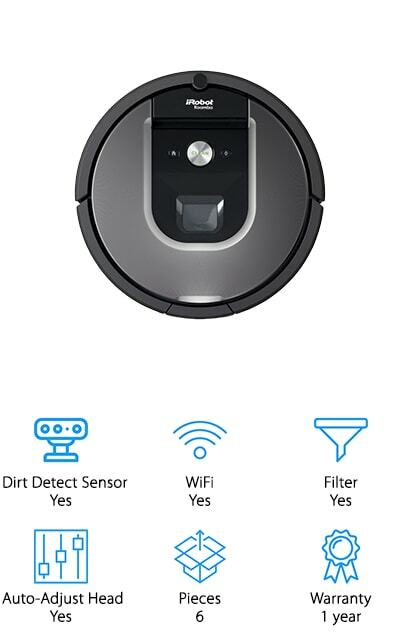 Dirt Detect Sensor: These sensors tell the vacuums where the dirt is and let them know when they’ve gotten it all. Almost all of our top picks have one and it’s one way to know your robot is doing a thorough job. WiFi: You might be wondering, wifi? On a vacuum. Yes. Wifi on a vacuum. 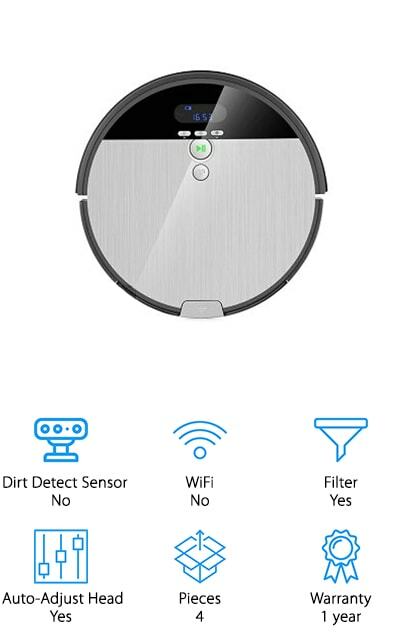 A few of these products are equipped with it and if you want to sync your robot vacuum up to your home assistant device, you need it. Filter: Of the products that do have a filter, some are much more effective than others. If you or someone in your home suffers from allergies, a good filter is one way to improve the air quality in your home. Auto-Adjust Head: If you have multiple types of flooring in your home, you need this. It allows the vacuum to seamlessly adjust from low pile carpet to an area rug to tile to hardwood without missing a beat. Pieces: Some of these vacuums come with a lot of attachments and little extra things that make them pretty heavy hitters when it comes to cleaning all types of flooring. We included the vacuum, dock, and any extras in this figure. Warranty: Vacuums like these are a perfect example of a product that should have a good warranty. They’re high tech, have a lot of electrical and moving parts, and are at times going to be working when you’re not even at home. Now that you know the things to look out for, let’s get right into our Roomba vs ilife buying guide by taking a look at our reviews. If you’re in a hurry, check out our top and budget picks. You’ll see a little bit of the range that’s available. Read through all the items if you can. You might think that all robot vacuums are the same, but there are a lot of differences. Alright, let’s get down and dirty. We chose an iRobot Roomba vacuum cleaner for our top pick, the Roomba 980. This one is packed with features that will make cleaning your floors effortless. One of its most convenient features is that you can schedule cleaning and set custom preferences right from an app on your smartphone. The vacuum has iAdapt 2.0 Navigation with visual localization so that it can navigate an entire level your home. And it does a great job at cleaning, too, thanks to the AeroForce Cleaning System with Carpet Boost. What exactly does that mean? It can provide up to 10 times the air power on your carpets and rugs. And get this. It automatically recharges then resumes cleaning right where it left off. It gets the whole job done independently, every time. 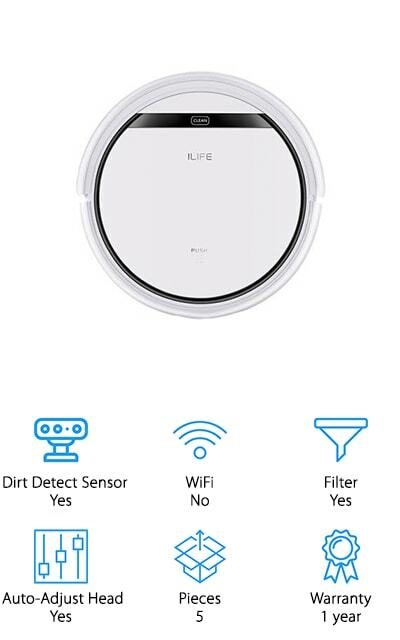 ILIFE is sometimes considered a Roomba alternative which isn’t completely fair because they can definitely hold their own. Take our budget pick, the ILIFE 4s Robot Vacuum. It automatically starts cleaning according to the schedule you program for it. It gets up to 140 minutes of cleaning with a full battery but when the battery does run low, it returns to its dock to recharge. There are multiple smart sensors that keep it from bumping into your furniture or other obstacles or falling down the stairs. The powerful suction, side brushes, and tangle-free roller brush provide a thorough cleaning. How thorough? It can get under your bed, right along your baseboards, and work around any clutter. One more thing, it operates relatively quietly. There are a lot of similarities when it comes to the Roomba 960 vs 980. Both can be programmed with a cleaning schedule and managed from a smartphone app. They have the same navigational system and can clean a single level of your home. The 960 also automatically recharges itself and resumes cleaning independently. So, how are they different? When it comes to the iRobot 960 vs 980, the differences are in run time and air power. While our top pick, the 980, can run up to 2 hours using 10 times the air power, the 960 runs for just 75 minutes with 5 times the air power. This is still an impressive vacuum. The suction is superior to a lot of models and it excels at handling pet hair. 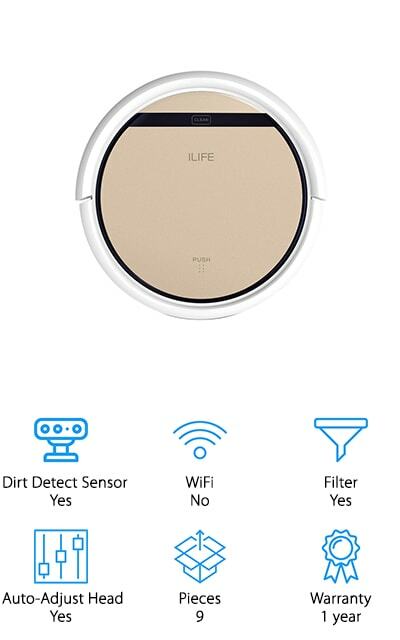 The ILIFE V5s Vacuum Mop is a strong choice if you’re looking for the best vacuum robot for pet hair. It’s powerful motor and special pet hair technology put it ahead of the pack for houses with multiple pets. One of the cool things about this one is that it can do vacuuming, sweeping, and damp mopping which makes it the most versatile vacuum we’ve reviewed so far. The battery life is really impressive, too. At 140 minutes, it’s actually one of the longest operating machines in our reviews. The design is small, light, and slim enough to easily move around your home. Plus, the smart sensors find all the places that dirt hides. Because it adjusts automatically to floor types, it can clean up nearly any surface in your home. Plus, it recharges itself when it’s done. The next vacuum of our Roomba reviews is the iRobot Roomba 665. It cleans carpets, rugs, and hard floors and was designed to be thin enough to fit under furniture. Plus, because it’s only 3.6 inches tall, it can reach underneath kitchen and bathroom cabinets to the kickboard where a surprising amount of dirt and debris hides. You can set it to clean on a 7 days a week schedule. To have it clean on demand, press the “clean” button and off it goes. It automatically docks and recharges itself when the battery is low so you never have to worry about whether or not it has enough power to finish the job. If you want more control over where your 665 cleans, isolate it specific areas using the virtual wall barrier or halo mode. 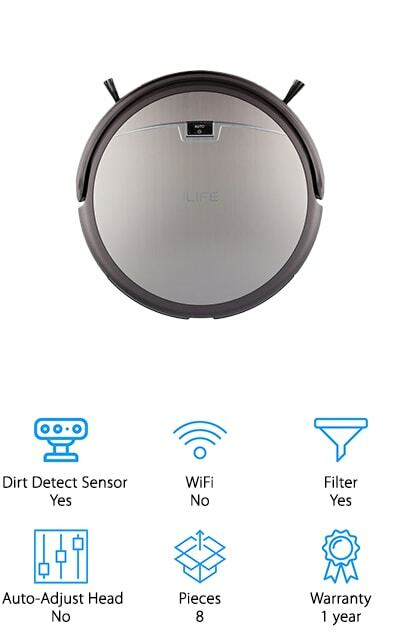 The ILIFE A6 is the next contestant in our iLife VS Roomba reviews! The A6 has an ultra slim design at only 2.8 inches tall. It can easily slip under your bed or nightstand to clean up dirt that you didn’t even know was there. It has an impressive battery life, too. Even though this is a simpler design, it cleans for up to 100 minutes on a single charge. You can set it to stay contained in a certain area, too. Just use the Electrowall feature to establish an invisible barrier. It can automatically adjust to various types of flooring, going seamlessly from hardwood to low-pile carpets. Side sweep brushes get every bit of debris right in the path of the spiral brush and suction, leaving no dirt behind. Our iLife reviews continue with the V3s Pro. If you have a family with pets, this is the one for you. It’s designed with pet hair technology that lets it focus on picking up stray hairs, dirt, and debris. That’s not all. Because pet hair gets everywhere and anywhere, you need a vacuum that can, too. The compact design of the V3s Pro fits under furniture and into tight corners to get the pet hair you can’t see. But don’t worry about it bumping into your furniture. It’s equipped with smart sensors so it won’t bump into anything in its path. 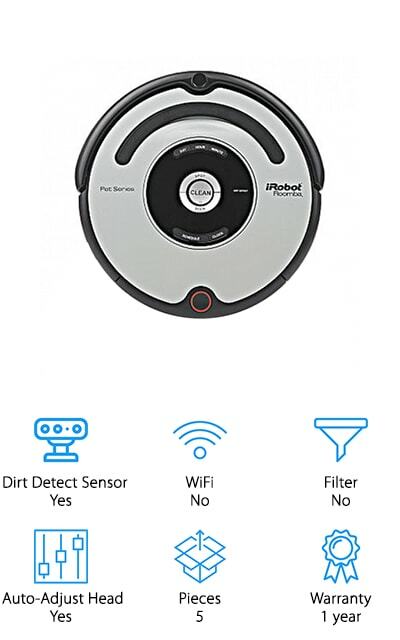 You can set this vacuum to clean on a schedule or use the remote control for cleaning on demand. Plus, when it’s done cleaning or if the battery is low, it returns to its dock to recharge. 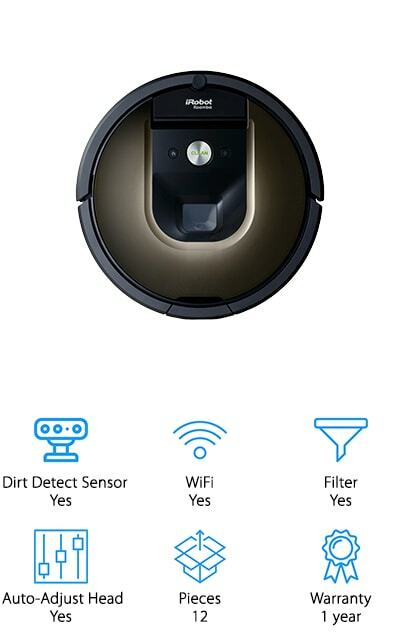 The Roomba 650 vacuum has a full set of sensors that allow it to navigate your home. When it comes to the Roomba 665 vs 650 debate, this is actually one of the major differences. If you move your furniture around or if your child or pet gets in the way, the 650 has sensors that let it easily adapt. 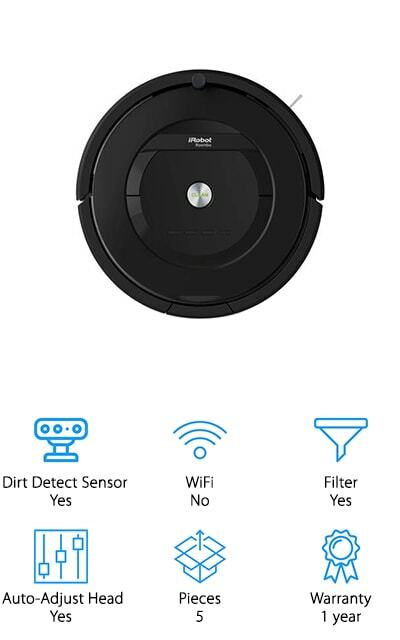 You can set it to clean automatically on a 7 days a week schedule. Or just push the “clean” button on the robot and it will get to work whenever you want. It’s really effective because of its 3-stage cleaning system. To get as much dirt as it can, it agitates, brushes, and suctions. It’s 3.6 inches tall and can fit under most furniture and even kickboards easily. And, of course, it docks and charges itself. Up next is the ILife V8s. It feels funny to say that this is a sophisticated machine considering we’ve been doing nothing but talking about vacuuming robots in this review, but this is the world we live in now. Anyway, this is a highly sophisticated machine. Get this: it uses navigation and localization technology to plan out the most efficient route to fully cover your home. And it not only vacuums your carpets. It also mops your hard surfaces. There’s more. It’s really effective against pet hair because it has a floating port that prevents the hair from clogging the suction. You can program the V8s to multitask 24 hours a day, 7 days a week. It even has special technology that makes mopping more reliable, only releasing water when it stops to scrub to prevent any damage. Last but certainly not least is the Roomba 805. It has a full range of sensors that adapt to the changes that are constantly happening in your busy home. This is a good one for pet hair because it has tangle-free extractos that help prevent clogs. One thing that’s unique about this vacuum is the high-efficiency filter that traps up to 99% of allergen, pollen, and particles keeping them from recirculating in the air inside your home. This makes the 805 a really good pick for anyone suffering from allergies because it really can improve the air quality. You can set a cleaning schedule or just press a button and have it clean on demand. It automatically adjusts to various floor types and you can create virtual wall barriers to keep it contained to a specific area.